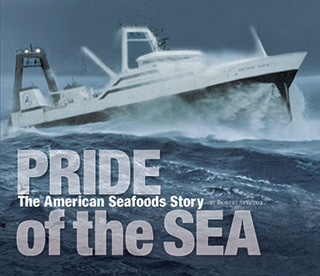 The story of American Seafoods is a rich tapestry of competition, regulatory evolution, talent, and fisherman's luck. Robert Spector's magical telling of Pride of the Sea highlights the hard work, camaraderie, and challenges that draw adventurous men and women to the sea. From the southern tip of South America to the far northern reaches of the Bering Sea, the waters fished by American Seafoods over the last quarter century have been icy cold, fog-cloaked, and often torturously rough, but they have also been uncommonly rewarding. On deck or below, American Seafoods jobs at sea are demanding, exciting, even romantic, and always damn hard work.